Home » Save Money » Get Amazon Price Adjustment When Price Drops: Guaranteed! One of the best and longest running e-commerce websites is Amazon, and no matter what it is you need to buy, Amazon will have it. However, the price of your desired item may continually change depending on different situations, such as changes between supply and demand, the approaching of a certain holiday approaching, and competitor’s changing policy. Amazon price adjustment means that sometimes after buying an item, the price can drop, and so you can miss out on what could be a great deal. So, what can you do if this happens to you? In this article, you will learn how to find out if the price of the item you have bought has changed, and how to get an Amazon price change refund if this occurs. Can I Get a Refund If Amazon Drops the Price on an Item I Just Bought? 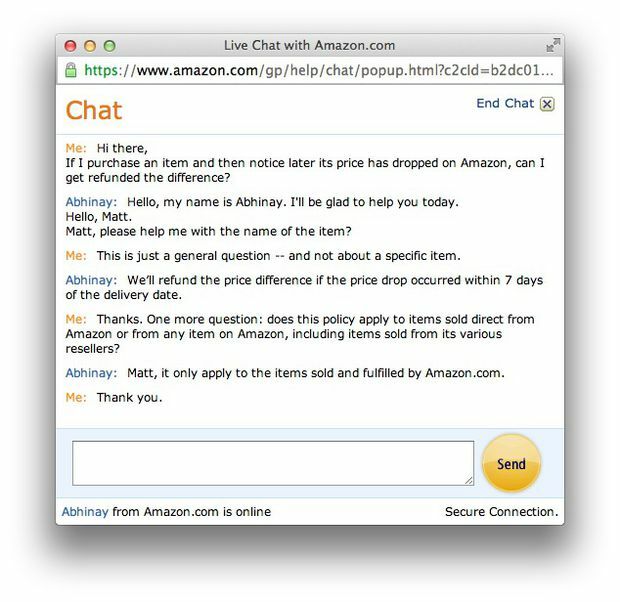 Why Did Amazon Suspend Their 7-Day Price Change Refund Policy? How to Get an Amazon Price Change Refund on Your Recently Ordered Product? How Do I Know If Amazon Has Dropped the Price? Bonus Tips: How to Get Amazon Product for Free? Initially, Amazon allowed for a 30-day Amazon price guarantee for any items that were sold and shipped by themselves. However, they then reduced the time period of this guarantee from 30 to 7 days, and then even suspended the policy completely so the 7-day price guarantee can no longer be used. But, the Amazon price change refund is still available on all TVs that are purchased on the site. On the other hand, if the price drops after you have purchased an item on the site, you can still manage to get a refund on the difference, i.e. an Amazon price change refund. Remember that this only will officially apply to items that are purchased and shipped by Amazon, and does not apply to items sold by other vendors that are active on the site. The main reason why Amazon suspended the 7-day price change refund policy is probably that the increasing number of people who require a price drop refund after purchase. This will have a higher occurrence around deal days such as Prime Day, Black Friday and Cyber Monday when prices will differ from normal. Amazon also reported difficulties in dealing with refunds of this type, and therefore have currently suspended any price change refund. The best way to get an Amazon price change refund since they have changed the policy is to go through the “returns and refunds” page on the site. Once you get here, go to “Need more help” under the “help” section, and click on the “contact us” link. If you are logged into your Amazon account, you can select the order in question and add it to the query. In the drop-down boxes, select “returns and refunds” for the issue, and “other return or refund issue” for the issue details. Into the summary box, make sure to enter “partial refund, price change”, and then select how you would like to contact Amazon on this issue – either by chat or an email. If you do choose to email them, then enter a friendly but firm message about the price change, and requesting the refund. No matter what happens, make sure to always stay polite, and if there is a refusal to process a refund, you can contact them again by phone to talk with a customer service agent about the problem further. Remember that you will only have seven days from delivery of the item to request an Amazon price drop refund. Unfortunately, if the price has dropped after seven days, you are not eligible for a partial refund. As mentioned earlier, price change refunds are said to only be available on items that were sold and shipped by Amazon, but this is in fact not always true. Many people have received refunds on items that were sold by third-party vendors on the site by following this method. This shows that it is always better to ask, just in case there is a chance to save some money on your item. Amazon customer service is very helpful in solving your problems and will offer many solutions, including a partial refund. All three of the contact methods have proven successful in getting these refunds, whether you contact them by email, online chat or by phone. There are even other ways of getting the refund you deserve. For example, you can file a claim with your credit card company through credit card price protection policies. This works when you buy something online and the price drops within a specified period of time (usually between 60 – 90 days from purchase), meaning the credit card company that you are with will refund you the difference on your purchase. Another method is to request a full refund on the item, send it back, and then purchase the item again at the lower price. Please beware as there have been reports of accounts been banned if users have been returning too many items. Normally, you can use price tracking tools or browser extensions to monitor and notify you of any price changes on items you are looking to purchase, or have purchased in case of an Amazon price adjustment. The price of a product will constantly fluctuate, and no one can remember the total price history of a product in order to make an informed purchase, and that’s where these tools come in handy. They help to reduce time spent on monitoring prices, helping you to get that time back for other things, or even on just enjoying the product you have bought. For example, Honey is a browser extension that can help you to find the best time to buy a product on Amazon using price history charts and price alerts on your favorite items. Honey can also be used for finding and applying coupons when you shop online, so that you no longer have to search for codes for money off. Another great price checking tool is CamelCamelCamel.com, a website that creates Amazon price alerts and monitors price changes on the items you need. It also offers a browser extension that adds their price history charts, checking prices as you browse, helping you to decide if the current price of a product is, in fact, a deal. 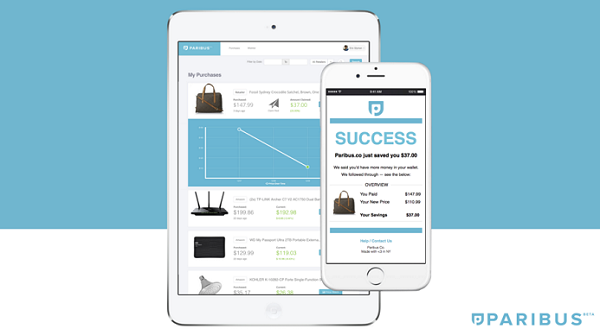 Paribus is a tool that automatically stores your online receipts, determines if you are owed money on a product, and then helps to make the process as simple and efficient as possible helping you to get a refund on a product that has recently dropped in price. It also notes down every e-commerce website’s policy, so you don’t have to remember how long the price drop refund is applicable, it does all the work for you. With any one of those tools, you can easily track the price of the product you have bought, and therefore make a claim for a partial refund. Well, now that you know how to get Amazon price adjustment refund, what else do you want from Amazon? Maybe free Amazon product is a good answer. Can you get Amazon product for free? The answer is positive. You can try some deal sites where Amazon sellers post discounted Amazon products to promote selling and drive traffic to thier Amazon store. Among those deal sites, Cashbackbase stands out as it is a great community for people to get ont only amazing Amazon products but aslo up to 100% discount. It is quite easy to save money on cashbackbase: Grad the deal, purchase on Amazon, submit the order, and then get money back. Overall, there are many different ways that you can challenge an Amazon price adjustment in order to get a price drop refund. From using price checking apps and browser extensions to filling in a contact form on Amazon itself, you can get a refund on the price difference between when you bought the item and the new price drop. Make sure that you do this within seven days of the item being delivered, or else a refund will not be applicable on that product. Let us know below if you’ve gotten an Amazon price change refund recently, and how your experience was. We would love to know how you got on!